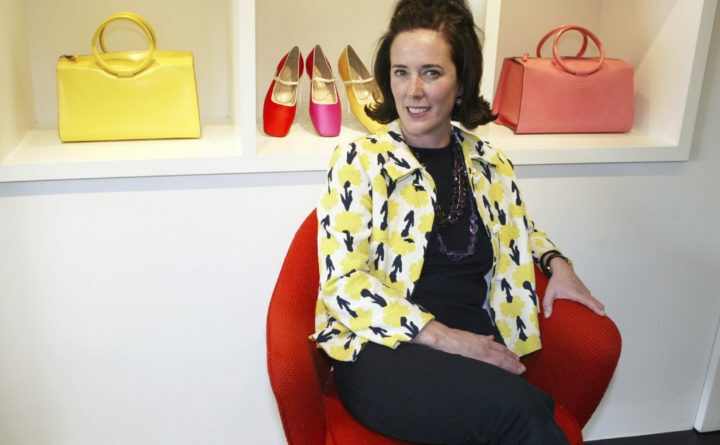 This May 13, 2004 photo shows designer Kate Spade during an interview in New York. Spade was found dead in an apparent suicide in her New York City apartment on Tuesday, June 5, 2018. Kate Spade’s husband Andy said Wednesday that the fashion designer was being treated for depression and anxiety in the years leading up to her death by apparent suicide this week. He did not specify a particular condition, but said she had been seeing a doctor and taking medication and did not use other substances or alcohol. Andy said that the two lived near each other, spoke or saw each other daily, and continued to take vacations together. Their daughter, Frances Beatrix, who spent time with each of them, was with Andy when her mother died, the Times reported. After her death on Tuesday, reports pegged to unnamed police officials circulated that said she had left a suicide note for her daughter. Andy said he had not seen the note. “I am appalled that a private message to my daughter has been so heartlessly shared with the media,” he said. Kate and Andy were married in 1994, one year after founding her eponymous brand, famous for its handbags and accessories. Andy said that the couple had never discussed divorce.